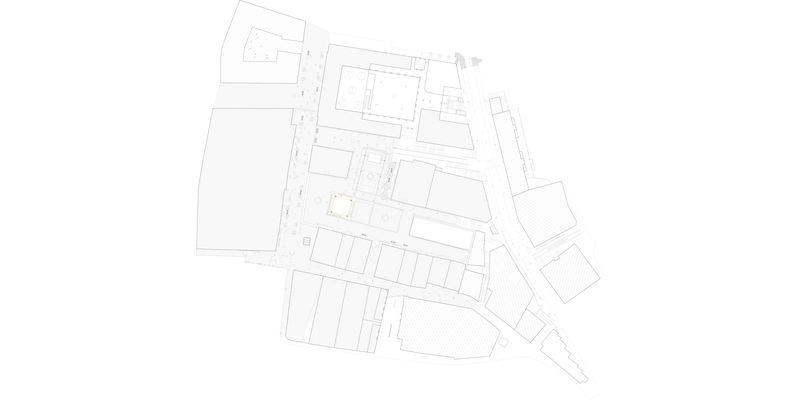 Plaza Cardenal Orbe in its city context. 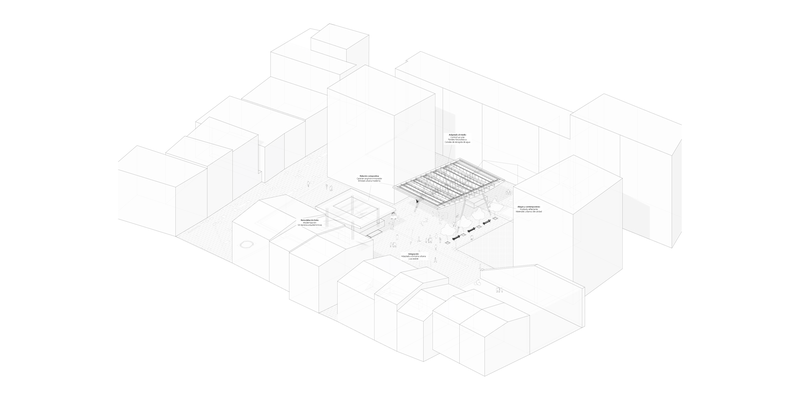 Plaza Cardenal Orbe axonometric perspective. Plaza Cardenal Orbe, is the cultural center not only of the city of Ermua, but of the entire Vizcaya area. 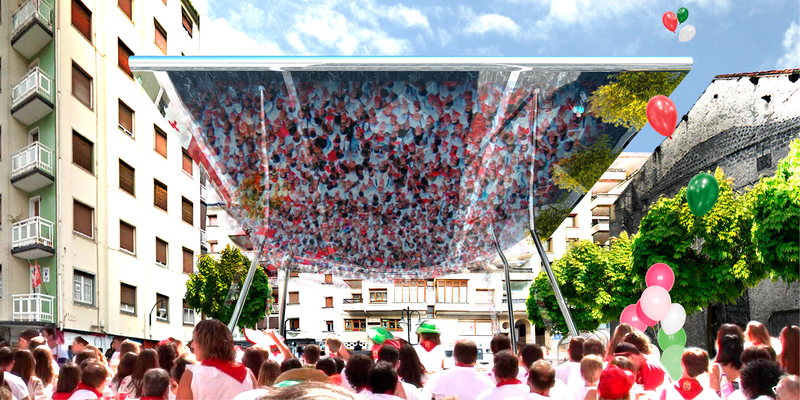 A historical place that reflects the character of the Basque population, which shines during the holidays. 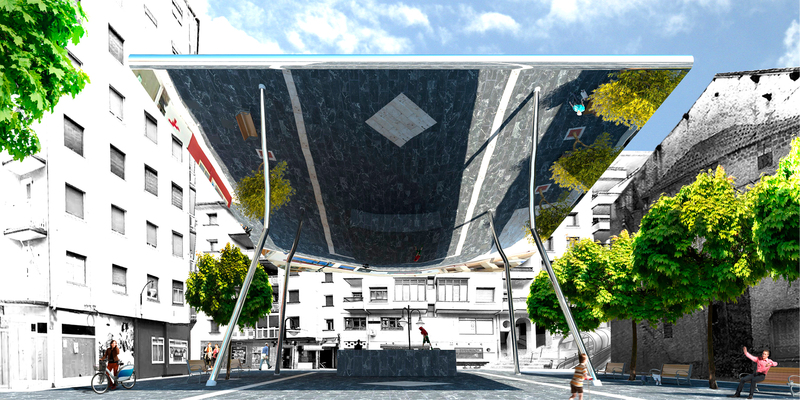 That is why it is proposed to intervene in the square with a large contemporary cover, mirrored wings that reflect the city of Ermua and the life of the citizens.The remodeling of the kiosk together with the new roof allows the creation of a new singular element that grants an original and innovative character to the space and the city.